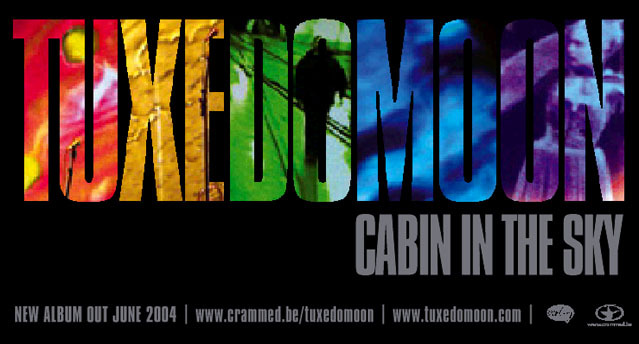 listen to samples of the new tuxedomoon album CABIN IN THE SKY. interested in things tuxedomoon? Blaine L Reininger's overstuffed tuxedomoon page offers a week of escape here -- or see the side bar on this page for an assortment of diversions. tuxedomoon is currently on tour, check here for current concert details as we will not be able to keep this site up to date. or tell your stories to our official historian Isabelle Corbisier and stay tuned for her forthcoming book. at the allmusic guide and search artists: tuxedomoon (this is the only way to use their system). this is an interactive database which accepts reviews and comments... give them something to think about. KreditOhneSchufa.com is supporting our site. them a cult following immediately. Throughout the 80s and some of the 90s the band lived in Europe, absorbing more influences and sounds from their privileged position in Brussels. Today the core members are as disparate geographically as they are sonically, with Steven Brown in Mexico, Peter Principle in New York, Blaine Reininger in Greece, and Dutch trumpet player Luc Van Lieshout (who had joined the band in 85) residing in Brussels. This very global, very postmodern situation perhaps goes some way to explaining the worldliness of Tuxedomoon's new LP 'Cabin In The Sky '. They have always made music that shrugs off musical influences as nonchalantly as a snake sheds its own skin or a duck discards water but the new album is something of an aberration, capturing the band in a rarely seen sentimental and reflective mood. Impressionistic strings, wistful flourishes of brass and accordion, languorous electronic scribbles and lyrics sung in Italian and French provide unashamedly romantic textures, though of course shooting through and around the poignant violins of 'Annuncialto' and woozy sea sounds of 'The Island' are abrasive streaks, bittersweet cacophonies, and a sense of willful, wayward freeforming. Transfer 'CabinS' onto a canvas and you have Pollock, Bacon, Miro and Dali all rolled into one, with the same themes of surrealism, whimsy, magic, and earthy ferocity all sharing the same space. But it is without doubt the most consistently spacious, unhurried, gravity-defying album the band have made; certainly the closest they'll ever get to the sentimentalist soundscapes of contemporary electronic bands iike Air or the quiet ambient pastiches of Eno or Fripp. invited the band for a tour of Germany to promote, playing to their older fans as well as legions of fascinated newcomers. In a consciously cyclic move, Hell adds his own production nous on Cabins (on the track « Here Til Xmas » which rides an electro pulse dug straight up from the deserted beatmine districts of Düsseldorf). He's not the only one. Contemporary artists and switch-doctors such as Juryman, Tortoise's John McEntire and German hipsters Tarwater (who provide the album's soporific denouement) all add their own modern touches to the LP. Cabins could well be Tuxedomoon's first real pop album, if we can imagine that pop music has suddenly been allowed to follow a manifesto of creative freedom and write its own destiny instead of being subject to the forces of formula. With spirits still entrenched firmly in a counterculture that predated our current over-the-counter culture, Tuxedomoon step forth and confidently deliver messages of defiance and diversity when they are perhaps most needed.